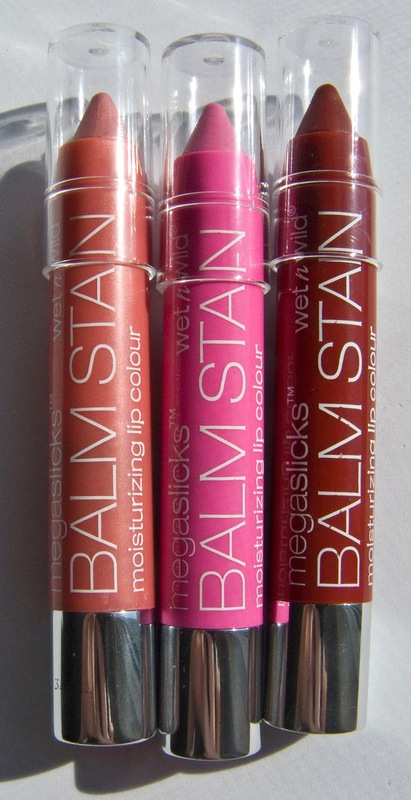 Another balm like formula lipstick with high pigmentation and the strong mint base. 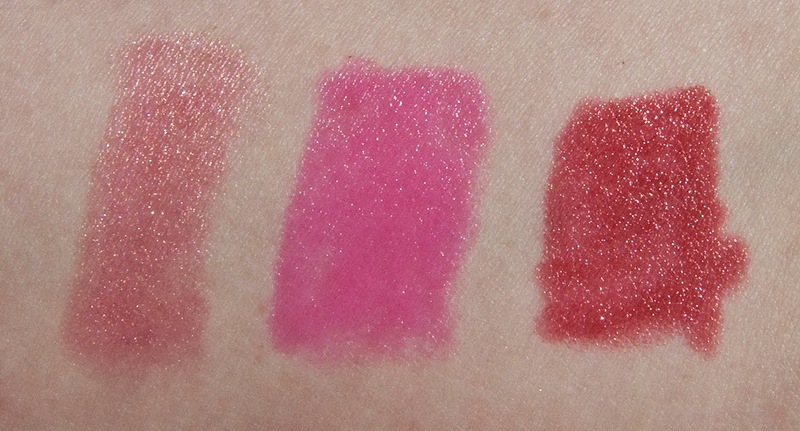 The texture and feel on the lips are all buttery for these shades. 127 A Stiff Pink is a vivid cream magenta. 125 Red-dy or Not is a blue based red the look a tough more on the pink side. Wear: They all lasted about 3 to 4 hours on the lips. The stain on the 127 A Stiff Pink and 125 Red-dy or Not shades lasted about 6 hours total. Packaging: Twist up crayon with no need to sharpen because these are chubby size it's best to take care while applying. I want to like these but the tingling sensation is again VERY present in this formula. The colours are great but if your like me and have a problem to to much mint oil avoid these.